Rio de Janeiro is known as the party city of South America, with its numerous wine and cocktail bars, wild Copacabana Beach, and of course the world famous annual Carnival. Yet, Rio is, first and foremost, a city with deep religious roots dating back to the sixteenth century and the first Portuguese settlers, and these roots are evident in not only the abundance of the city’s religious sites but also in their prominence in terms of tourism for both religious and non-religious travelers. With so many sights to behold in Rio, the city is somewhat of an obvious choice for groups looking to visit the local sacred sites, explore the origins of Catholicism in Brazil, and even learn about Rio as one of South America’s religious melting pots. On the surface, it may seem that getting to Rio would be tricky, but actually it is easy to travel to the city and plan excursions there. Many cruise vacation packages to Brazil leave from southern Florida, and the onboard excursions team can assist with finding the best sites and best tours for groups. So what makes Rio an especially good choice for groups? The fact that there’s something for everyone to see and enjoy. Rio is the second largest city in Brazil, with an estimated population of a whopping six million people, and yet only 8 percent define themselves as non-religious – so religion is clearly a huge presence throughout the city. A little over half of all permanent residents are Catholic, which is a small percentage when compared to the smaller towns throughout Brazil. As the country’s capital, Rio is much more diverse in terms of religion, yet many of the more popular attractions do stem from Catholic beliefs. 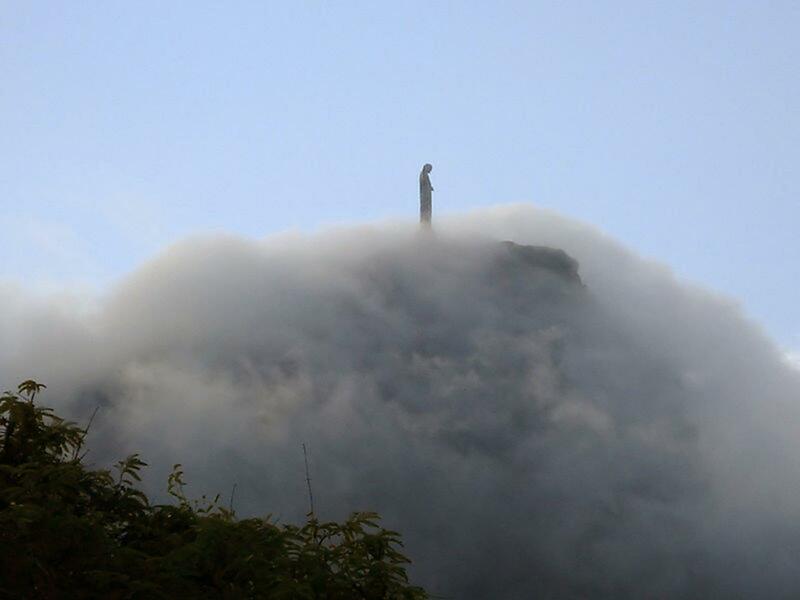 Of course, the most famous of Rio’s sacred sites is high up on the 700 meter tall Corcovado Mountain: the statue of Christ the Redeemer. This gigantic 635 ton monument, which holds the record for being the world’s fifth largest statue of Jesus, is perhaps of particular interest to groups as, without the perseverance of a religious group back in the 1920s (the Catholic Circle of Rio) the statue might never have been erected. It was only through this group’s ongoing rallying for support and donations that construction was finally given the go-ahead after many years of rejection. Gazing out over Guanabara Bay, the statue welcomes those arriving into port with open arms, quite literally. Although the statue is the most well-known of Rio’s sacred sites, especially to non-religious travelers, it’s certainly not the only site, and groups may wish to explore some of the city’s other important places of worship. 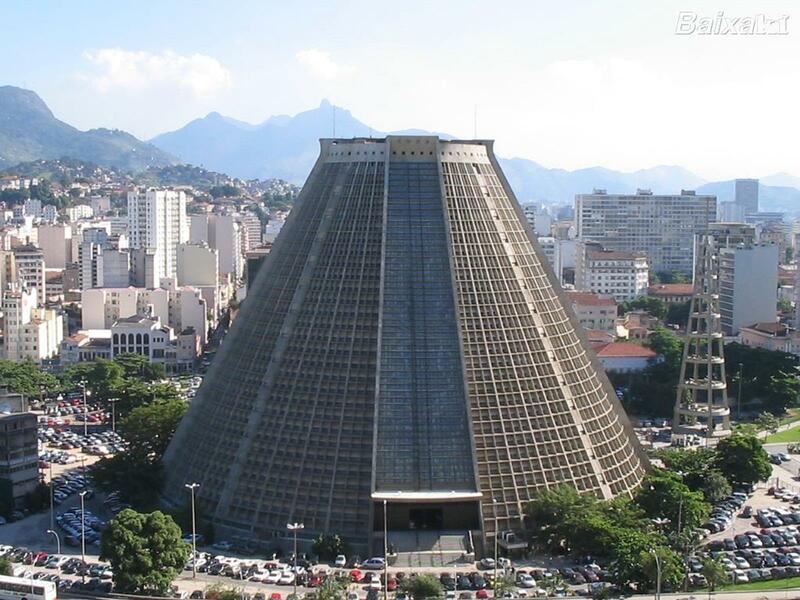 One of the most obvious places to visit is the Rio de Janeiro Cathedral, and while a tour of the building offers the opportunity to discover more about Saint Sebastian, to whom the Cathedral is dedicated, those looking for a more traditional environment may be disappointed by the modern and somewhat abstract architecture here. Some travelers do prefer the ornate detailing of the nearby Mosteiro de Sao Bento, which has welcomed both Pope John Paul II and Pope Benedict XVI in recent years. Rio de Janeiro is considered to be one of the most popular tourist destinations in the world, and it’s not difficult to understand why. Rio is especially welcoming of everyone, and although Catholicism and Protestantism remain prominent in the city, Rio doesn’t discriminate against other religions or, indeed, non-believers. Instead, Rio aims to educate those to the main South American religions through the opening of sacred sites to visitors, which makes group travel to this Brazilian city an excellent choice. Take your religious group to “Where the West Begins.” From military post to trading post, from cattle empire to oil boom-town, Fort Worth has a diverse history making the city what it is today. Kansas City, known as the “Heart of America,” surrounds religious group travelers with captivating architecture and remarkable history. Albuquerque, a city well-known for its hot air balloon flights, is an ideal place for religious travel groups. The city offers a plethora of sites representing different religions. San Antonio is located in the heart of Southern Texas. The city offers a fresh experience for faith-based travel groups with a combination of history and a festive atmosphere. There is no doubt that this 300-year-old city, originally founded by Spanish missionaries to convert Native Americans, is proud of its culture and religious heritage. San Antonio offers religious groups a wide variety of music, food, culture, festivals, sports and faith.